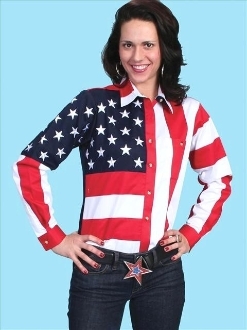 WOMENS STARS AND STRIPES AMERICAN FLAG shirt. (1 side only) SEAM TO SEAM ONLY. Measurements are NOT all the way around. DO NOT measure a person.